It has been our intention for a long time to translate into English a book that would narrate the lives of the fourteen ma‘sumīn (sinless ones) — the Prophet, peace be upon him and the people of his household, his righteous and pure daughter Fãtimah az-Zahrã', peace be upon her, and the Twelve Imams, peace be upon all of them. 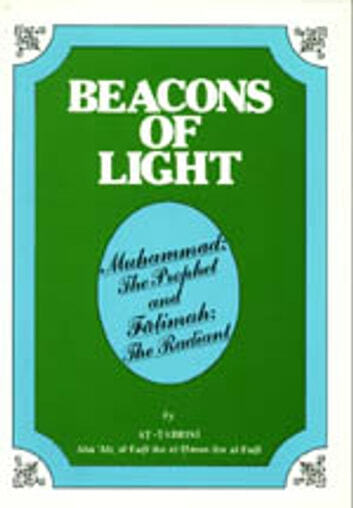 Such a book would, it was hoped, discuss the circumstances of the Prophet, his daughter Fatimah and the Imams of his descendants. It would present proofs of their special favor with Allah, and the exalted status with which He favored them. 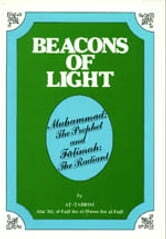 The book would also present proofs of the obliga­tions with which Allah has charged all men to obey and follow them. When Kitãbu 'l-Irshãd ilã Hujaj Allãh ‘alã 'l-‘bãd (The Book of Guidance to the Proofs of Allah over Mankind) of ash-Shaykh al-Muffīd was recently translated into English by I. K. Howard, we felt that it had largely fulfilled our hopes for the author, Abu Abdillah Muhammad ibn Muhammad ibn an-Nu‘mãn al-‘Ukbari al-Baghdãdi, known as ash-Shaykh al-Mufid (336-413/948-1022), was one of the foremost scholars of the Imams Shī‘i community, and one of its greatest jurists and theologians. We therefore decided to republish the book ourselves with a special introduction, which is now in the process of being translated. As soon as this introduction is ready, we shall, with Allah's help, proceed with our task. It is clear, however, that Kitãbu 'l-Irshãd lacks two important sections which are necessary for the purpose of giving an account of the fourteen sinless ones. The first would be concerned with the most honored Prophet, peace be upon him and the people of his household, and the second would deal with the righteous and pure Fatimah az-Zahrã', peace be upon her. We have also explained in the introduction to our forthcoming edition of Kitãbu '1-Irshãd that these two sections would not have been ap­propriate for the purpose of the book of our ash-Shaykh al-Mufīd, who was only concerned in it with the Twelve Imams and the proofs of the imamate. But they are crucial for the aim which we are seeking to achieve here.